At the Law Office of Robert Perry, we believe everyone should have a place to turn when faced with financial challenges. Our firm is dedicated to providing affordable solutions to consumers and small businesses struggling with the problems of credit card debt, tax liens, repossessions and garnishments. When you need an experienced bankruptcy attorney to help you get a fresh financial start, turn to Robert Perry. Mr. Perry has more than 30 years of comprehensive experience in the practice of law, and has written extensively on legal topics. His knowledge and experience have made him highly successful in helping his clients solve their financial problems while retaining their personal property. Mr. Perry's background in law is rich and varied. He has been licensed to practice law in the State of Indiana since 1974, and has been in private practice since 1989. Prior to establishing his practice, he served as Assistant United States Attorney for the Southern District of Indiana and Principal Attorney for the State's Attorneys Appellate Service in Illinois. He has also served on the faculty of the John Marshall Law School in Chicago and the University of Illinois College of Law. 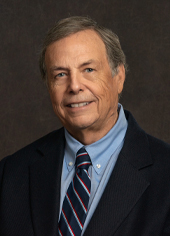 Mr. Perry received his BA from Vanderbilt University, and was awarded a JD degree by the University of Kansas School of Law, where he was Associated Editor of the University of Kansas Law Review. He has been admitted to the State Bar in both Illinois and Indiana, as well as the US Court of Appeals and the US Supreme Court. Robert Perry is a distinguished, experienced and knowledgeable bankruptcy attorney. He provides a free initial consultation to help you develop a personal plan to solve your financial problems. To schedule your free consultation, fill out the form on this site, or call us 24/7 at (317) 839-8830. 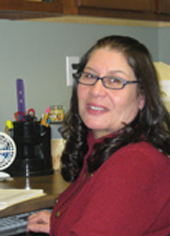 Ivonne J. Rivera has been with the firm since 2001, and has helped hundreds of clients facing financial difficulties. She finds her role in helping to develop solutions for our clients tremendously rewarding. Ivonne will answer your initial questions, schedule your free consultation, and consult with you on what to bring to the meeting. If you decide to file for bankruptcy, she will familiarize you with the details of your case and coach you through the bankruptcy process. "The great pleasure of my job is being a part of the change that takes place in our clients," she remarks. "Sometimes they feel depressed about their situation, and I tell them that sometimes bad things happen to good people. As they get relief from the stress of financial problems, you can see them relax and enjoy life again." Ivonne is a graduate of Indiana University with a Bachelors Degree in Criminal Justice and also received a Paralegal Certification from Indiana University. Additionally, Ivonne is a native Spanish speaker. This office serves all of West Central Indiana, including the counties of Parke, Putnam, Clay, Montgomery, Hendricks and Owen, and the towns of Greencastle, Crawfordsville, Danville, Avon, Plainfield, Spencer, Cloverdale, Brazil and Rockville. Our consumer, small business and personal bankruptcy services help you solve your financial problems. All materials provided on this web site are for informational purposes only. The materials do not constitute legal advice. Due to the complexity of bankruptcy laws and differing interpretations of statute and case law from various state and federal courts, you should obtain the services of a competent bankrutpcy attorney before acting upon the materials contained on this web site or filing a bankruptcy petition. PLEASE NOTE: Sending an e-mail to our office does not establish an attorney-client relationship. No attorney-client relationship is created by the information provided here or by any consultation with our law firm's attorneys or staff. you have paid all agreed retainer fees to our firm. In sum, an attorney-client relationship can only be established by mutual written consent between you and the attorney. Thank you for visiting the web site of the Law Office of Robert Perry. The materials in this web site have been provided by the Law Office of Robert Perry for general informational purposes only and are not legal advice. None of the information at this web site is intended to constitute, nor does it constitute, legal advice. This information is not intended to create any relationship between the Law Office of Robert Perry and the recipient. The information is not guaranteed to be correct, complete, or current. We make no warranty, express or implied, about the accuracy or reliability of the information at this Web site or at any other web site to which this site is linked. If you use any links to web sites not maintained by the Law Office of Robert Perry, you do so at your own risk. The Law Office of Robert Perry is not responsible for the contents or availability of any linked sites. These links are provided only as a convenience to the recipient. Neither the transmission nor receipt of these web site materials will create an attorney-client or visitor-client relationship between sender and receiver. The materials contained herein are general in nature and may not apply to particular factual or legal circumstances.